It doesn't take much to really improve the gaming experience. Better seating, better lighting, better company, etc. are sometimes all it takes to go from an utterly insufferable trek through your simulated world of choice to a magical journey that will keep you coming back for hours on end. Upgrading your audio setup is often one of the best ways to squeeze every bit of rich detail from a game. Better speakers can kindle a warmer affinity for the creaking, tired breaths of Rapture or give that extra edge over the competition. Astro claims that its new line of wireless gaming headsets can not only keep up with their wired cousins, but that can raise the standard for gaming audio quality. From what I've heard, they are absolutely right. Wireless headphones -- hell, wireless products in general -- suffer from lower response times, battery hassles, and generally inferior ... everything. To a degree, this reputation is certainly deserved. In the same way that laptops will always be inferior to desktops in every way but one, so too have peripherals paid the price of convenience. It’s unfortunate, too, because the headphones, especially those meant for home theaters, do not at all lend themselves well to a perpetually tethered environment. For the best comfort, for the best experience, wireless is arguably the ultimate goal. The A50s are incredible in their ability to assuage my general trepidation towards the cordless world. 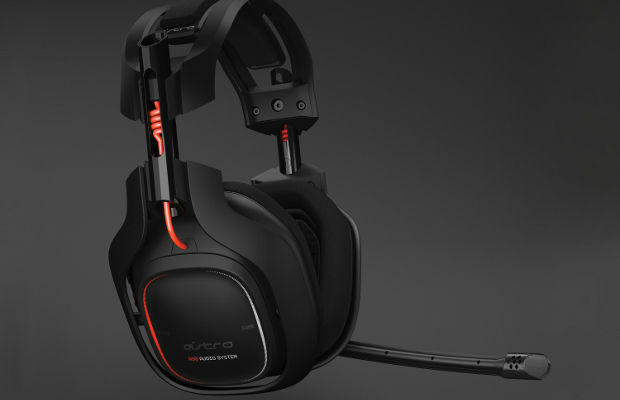 The A50s have a number of design changes over Astro’s bread-and-butter A40 set. The most striking of these is the primarily metal frame. It gives the set an excellent feeling of quality and strength that the plastic-framed A40s lack. Even the Creative Tactics can’t measure up. The cups are lined with a soft, velvet-like fabric -- a welcome change from the leatherette standard. 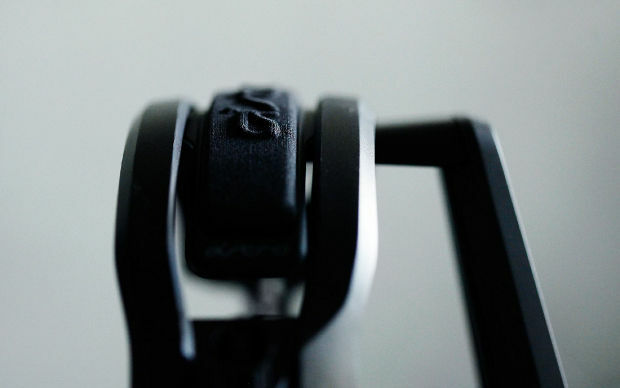 The headstrap is also lined with this material, coating the padding. The microphone sits on the left side, activated only when pulled down in front of the user's face. The other controls, including volume, power, a switch for three different listening modes, and a basic equalizer are jammed into the the outer edge of the right cup. The proximity of each can be a bit confusing at times. So much packed so closely together -- and the simple fact that while gaming, you can’t see any of the components -- can make selecting the wrong setting or bumping something unintentionally an occasional annoyance. Aurally, the A50 is a phenomenal set, packed with rich, booming base, soothingly smooth midtones and crisp highs. The soundscape is huge and open, not unlike Sennheiser HD 650 -- a pair that retails for nearly twice as much. The effect is so notable that I actually had to ask whether they were closed or open-back. My only gripe here is the inability of the set to handle higher volumes. Don’t get me wrong, they sound spectacular at anything that even remotely resembles “safe,” but it is a bit disconcerting to hear their fail conditions. Wireless sets, unlike their tethered relatives, don’t have to cope with amps or absurd amounts of power streaming in because some idiot 20-something wants to be deaf in five years. The positive side of that fickle coin is that, in contrast to the Creative Tactics, you will never encounter a situation where the volume level of the source limits you to to quiet and muted tones -- it will always get louder. Microphone reception and quality is prismatic. Everyone I asked online said I came through very clear without any issues in understanding me. As mentioned before, the mic boom can be flipped up and away from the face to mute -- a simple yet brilliant feature that makes the whole system just a bit more user-friendly. 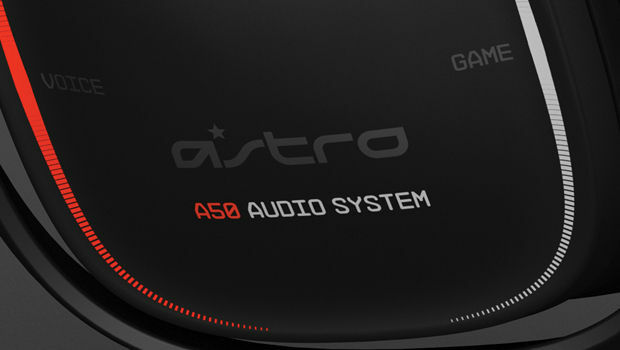 If you’ve used the A40, then you are familiar with the Mixamp, Astro’s term for the base station. 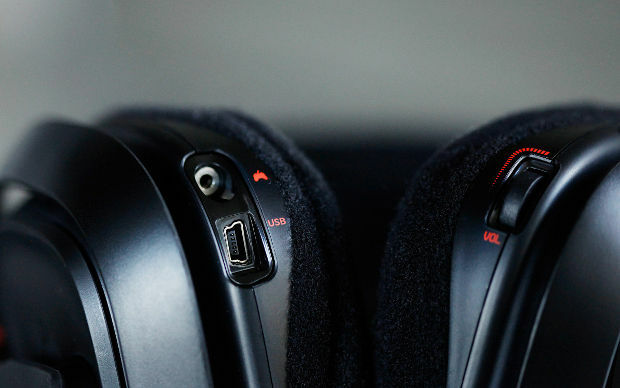 It includes a USB port to charge the headset itself as well a a few basic controls to turn the system on and off. Provided with the station is a small plastic tower that acts as both a tray for the station and a rack to set the headphones on when not in use. Unfortunately, for inputs, the system only accepts optical. 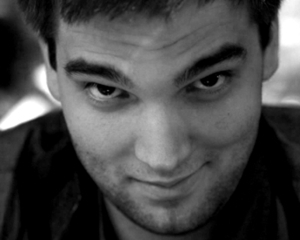 The set is largely console-focused and both the PlayStation 3 and Xbox 360 natively support TOSLink. If you’re a PC user, you’d be hard pressed to find a cheap, consumer-grade card that would be compatible, but for everyone else, it shouldn’t be too much of a problem. The final effect, however, is definitely worth the trouble. Because the set only takes optical, Astro thought it would be absurd to compress the the audio stream to the headset as most other wireless sets do. To accomplish this, they used the 5.8 Ghz band, which has the added benefit of being largely free from any form of electromagnetic interference. 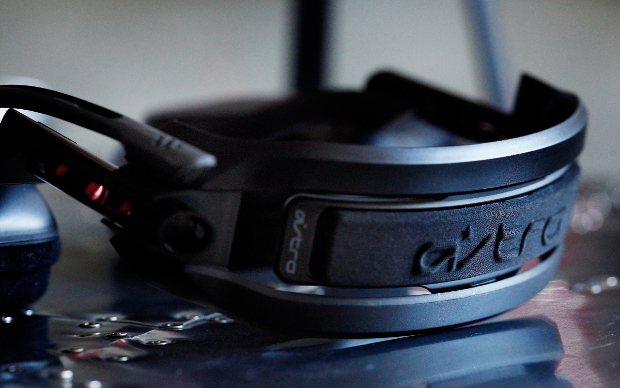 Astro has been in the business of creating high-end gaming headsets for some time now; building inroads with MLG and other competitive communities has secured their spot as a respected manufacturer. In my experience, however, their products have suffered from lackluster build-quality and a juvenile, ostentatious design. That trend seemed a bit true when they released the A*, a slick, modern reinterpretation of a cell-phone headset. My pair, for example, has survived everything from door jams to being put through a washer and dryer at full heat. While I can’t say with any certainty that the A50s will endure the same punishment, they have given me a bit more confidence in the design and engineering of Astro’s products. At $300, they run on the high-end, but they at least seem to be in the same class as their price would suggest. Gone on are the days of cheap, plastic-y $200 boondoggles. From those ashes have risen a respectable, clean vision of the future of high-end gaming peripherals.